Great article Matt, superb reading, very thought provoking, thank you. Another excellent article Matt! Top stuff, thanks. Hi Joe, if you mean your system qualifiers appearing in the cards, it’ll be soon. Have a guy on holiday at the moment who is needed to support, but we’re basically there otherwise. Holidays at Geegeez Gold!!! Is that allowed? Great article Matt. 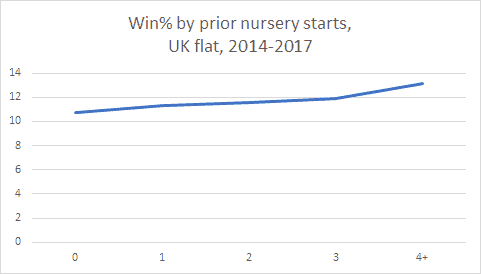 I haven’t been one for considering Nursery Handicaps but I will now. 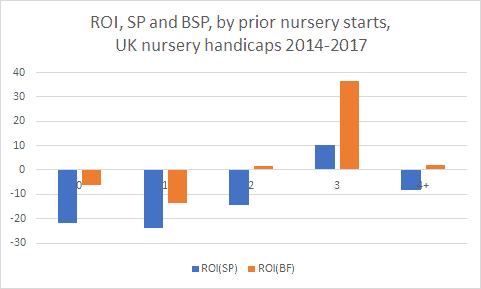 Another great article Matt, I have always filed Nursery Handicaps in the to dam difficult tray, thanks for the heads up on a new approach. When you do an article, boy do you do an article. There’s a reason why I read your stuff avidly (can’t say that of many people) and once again you’ve reminded me why I do so. Great stuff Matt and extremely valuable for serious horse racing enthusiasts. All the best my friend. Many thanks, John, very kind. You were missed the other night. Hope to catch up with you soon. Matt. Excuse my ignorance but what is SR.
Matt – Simply the best, as always! There’s a winner in every race and all we have to do is find them…what could be more easy – with your and Geegeez help?! Thank you for ALL you have done, in good faith, over the past few years to make our sport, our passion, make sense and more fun. Thank you, Richard. It’s my pleasure to try give a little back. I’ll continue to do that for as long as people want me to! I very much appreciate your regular generosity. Thanks Matt, thouht provoking as usual, ill have a read through a few times to properly digest, as usual top article. Great article Matt. One of the many reasons why being a GG’s Gold Member is so good. Hi Matt, another great article and a lot of work in compiling it. Thanks a lot. Years ago ( like 50!) my Dad had a saying “Back a winning 2yo until it loses”. 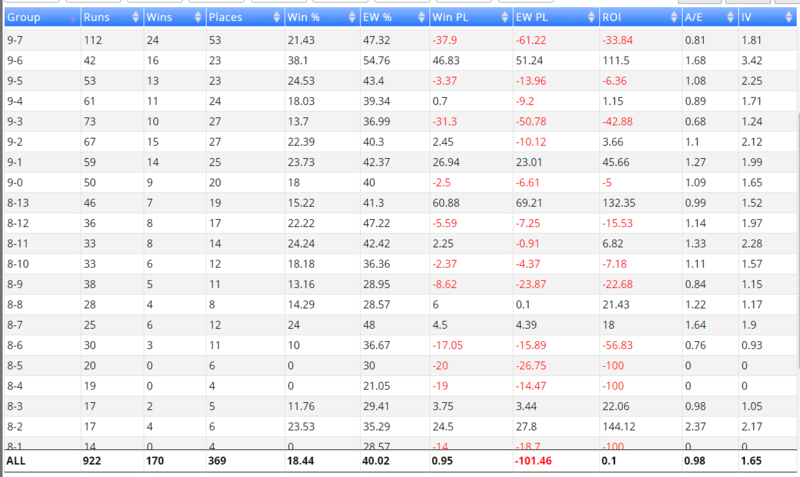 Haven’t a clue whether it is profitable or whether it was related to 2yo handicaps or 2yo races. It would seem however that, as you suggest the experienced 2yo stands a better chance of winning/placing. So maybe form might also be a consideration. I suppose that is reflected in Peter Mays SR figures. Just a thought.